Prague is definitely one of our favorite cities in Europe, it is just amazing! This architectural gem will impress each and every visitor. The city is full of attractions for everyone. You can spend only 3 days in Prague but you will go home with many golden memories. It is the city to fall in love with! At least we did! As every ancient city, Prague has gorgeous Old Town. The most iconic thing in Prague, of course, is the Astronomical Clock, located in the heart of the city – The Old Town Square. Go to see it in the exact hour but be aware of the tourist crowds. They are unavoidable, however, if you are brave enough to get up at sunrise you can have the Astronomical Clock and the Charles Bridge to yourself. Also, while exploring the Old Town make sure to see the City Hall, Týn Cathedral, St. Nicolas Church, Spanish Synagogue, the Old Jewish Cemetery, and each and every beautiful building with its great history! What would be 3 Days in Prague without walking across the Charles Bridge?! Make sure to see the bridge both by day and by night, as it has a completely different vibe during the day vs. during the nighttime. As you can imagine, it is very crowded, especially during the midday, but just relax, enjoy the amazing piece of history together with hundreds of other tourists and soak up the views. As we said, you might try to be brave enough and wake up for the sunrise! Pack a thermos mug full of tea and just do it! This is another must do while in Prague. Don’t even think about going to Prague and not taking a river cruise! There are many different options, starting from a simple one hour tour to a luxury dinner cruise. Prices vary from 10 to 100 EUR. You can book a tour in advance or do it on the spot as there are many stalls offering different tour services. Just imagine, it is a warm summer day, you have been wandering around the old town for some time and then you can chill on the boat with a fantastic view and, of course, a good Czech beer. While enjoying 3 Days in Prague you should also visit Mala Strana which is like another old town just across the river. Make sure to stop and appreciate the John Lennon Wall. Prague is known as the capital of Bohemia and the wall definitely gives you that feeling. Other must-see places include Prague Castle, Petrin Tower, Wallenstein Garden, Mostecká Street, and many cafes, boutiques and bars. Take your time and wander around the narrow streets of Mala Strana and travel to the medieval times. To have a really memorable experience, visit the Invisible Exhibition. It gives you the opportunity to sense the world without any light. The price is very reasonable for this experience. We recommend to contact them in advance to make sure you can book the tour so you can plan your 3 Days in Prague accordingly. We have done this tour several times and highly recommend it to all our readers, it is a very touching experience and highly educational. Trust us on this one! To get many great deals and discounts visit Slevomat.cz. You can find many different coupons for food, drinks, tours, and many others. It is in Czech, but with the help of Google Translate, everything is readable. You can just download the app and purchase the great deals, make the reservation online or show up without a reservation and enjoy the cheap goodies! While spending 3 Days in Prague it is worth thinking about transportation. Firstly, many things are in a walkable distance and it gives you more time to see everything around. Secondly, Uber is a good choice if you need to cover larger distances. Lastly, of course, public transportation. Here you can find more information about the tickets and prices. From our side, take an old tram at least once to feel the authentic Prague. And as per our experience, the cheapest and the best way to get around is the public transportation system. You can buy a 3-day public transport pass for less than EUR 14 ($16) and go wherever you want! Grand Hotel Bohemia – exceptional hotel in a fantastic location. Interior of the hotel is very classy and bohemian, just like Prague itself. Rooms are very clean and comfortable, the staff is very polite and professional, and the views from the top are just to die for! Also, the food there is top-notch. Great luxury option for a weekend treat – anniversary, birthday or any other special occasion! Máchova – a very good choice for the price. Rooms are cozy and clean, the location is great and close to the main attractions, the staff is friendly and ready to answer any question, very accommodating. The food is good and many choices available. Great for a mid-range budget – very neat and comfortable stay guaranteed! Hotel Florian Prague – a cheap and reasonable choice, especially if you are not looking for luxury. Rooms are clean and comfortable, the staff is nice, not so far from the city center. Everything you need for a quick budget weekend getaway. A great budget option – clean, close to the center and quiet! Prague is a great choice for a short weekend getaway. 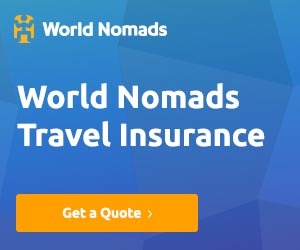 Right in the very center of Europe with cheap flights flying in and out as well as very convenient bus connections from the neighboring countries! Prague wins you with its accommodating atmosphere, food, and medieval glamour! No wonders we have been to Prague around 10 (!!!) times, haha! So, if you have some time off from work or studies, pack your bags and spend 3 days in Prague and fall in love. There aren’t a lot of places I really want to visit, but Prague is one of them. The city looks amazing. Seeing all these pictures makes me want to go there soon.